This week we start a new chapter, Brioche and Doughnuts. These sweet treats are made with an enriched dough, which usually has butter and eggs in it. Not quite breads, not quite pastries, this dough is yeasted and usually used for morning sweets. 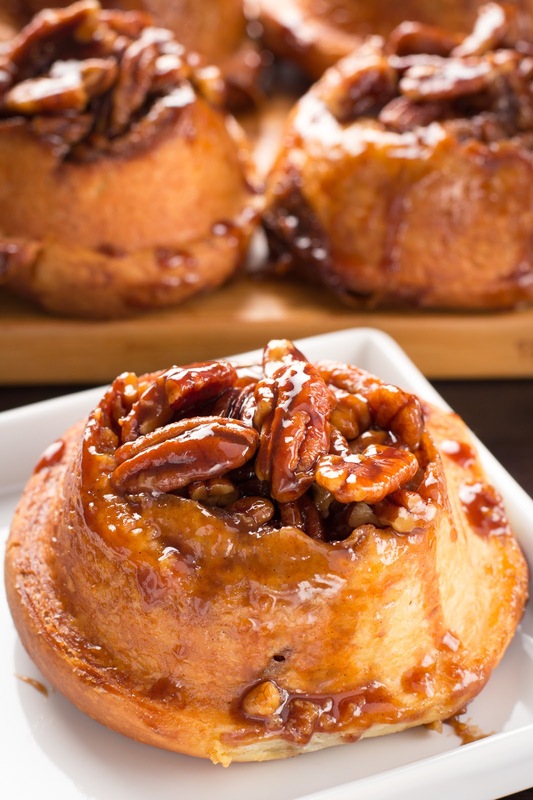 The perfect example is this week's recipe, sticky buns! Now, these are not your run of the mill sticky sweet sugar bombs that you might find at the mall or airport. These are elevated, rich but not too sweet, refined but still utterly satisfying. And they definitely live up to their name, sticky. Unfortunately, our bakers have dwindled over the weeks of this project, but hopefully delicious recipes like this will encourage more baking and sharing. Don't be shy, please share your delicious results with us! I've never been a big fan of sticky buns, or any sweet breakfast treat. I prefer a savory breakfast. But these were amazing! Not as sweet as I'd imagined, and the smell while baking permeated the entire house. I joked that I'd like to charge admission just to smell them! 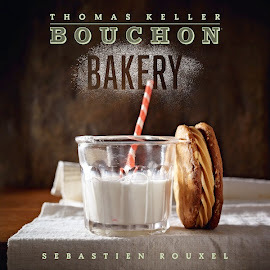 The brioche dough must be made the night before you plan to bake. It came together easily, just as the recipe directed. Although I hate getting sticky things on my hands, working with dough is oddly therapeutic. The next day, I was ready to roll. Literally. Rolled out the dough as evenly as possible, and then began to layer the deliciousness. I had made the pastry cream the day before as well, so I spread that on, then layered the "schmear", a brown sugar and butter mixture. After a generous sprinkling of pecans and cinnamon, it was rolling time. I managed to get a good tight roll, but the dough was getting soft and the sticky filling was oozing out a bit, especially when I cut the roll into pieces. I ended up with 6 regular size buns and 1 little one. After another rise in the pan, it was baking time. Countdown to olfactory delight! When the house smelled like fall, the buns were ready. Time for the moment of truth, flipping them out of the pan. Success! It took all my control to let them cool. In the meantime, I nibbled on a few loose pecans, which were caramelized and addicting! The first bite of the sticky bun was amazing! I was expecting cloyingly sweet, but the dough itself wasn't sweet, and the balance of sweet to savory was perfect. The only addition I'd make is more cinnamon, and maybe even chocolate chips next time. These would be perfect for a crisp fall morning, say the day after Thanksgiving, as long as you're prepared enough to make the dough the night before. I will definitely make these again and again, they're a real crowd-pleaser. Julie had a challenging time with this recipe, but still had delicious results, as documented on her blog.